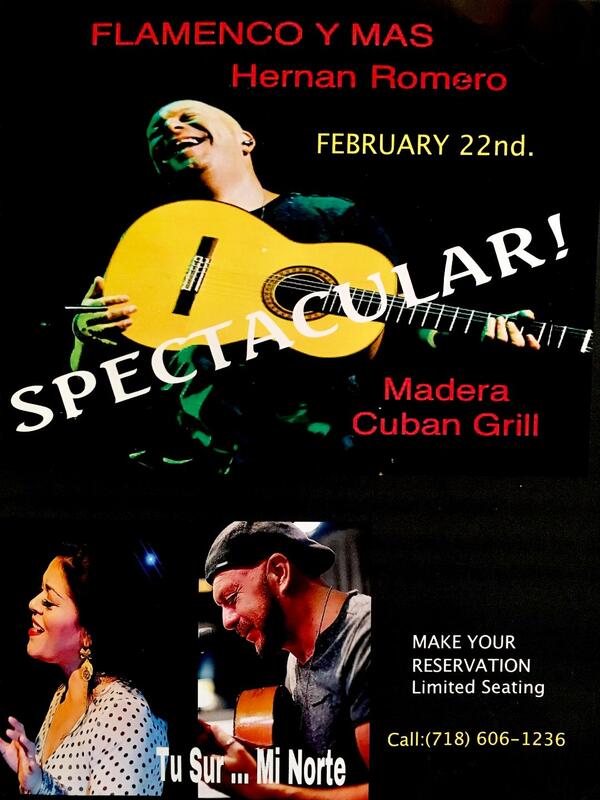 At Madera Cuban Grill Steak House we have put together a food menu that represents us. All ingredients are hand-picked to ensure that we provide best quality of food to our guest. We believe that spacious, friendly and relaxed environment at Madera Cuban Grill Steak House makes it an ideal venue for wonderful dining experience. Our signature shell steak captures the love and care that you put into Cuban food, deliciously juicy and tender, this dish captures the essence of what Cuban flavors can do to enhance a prime cut of beef. Our Madera Steak comes served with pico de gallo, and chimichurri sauce to further enhance the flavors of the entire dish. Skirt Steak, or Churrasco is another wonder of latin cuisine. Tender and flavorful, this delicious steak comes on a sizzling plate; accompanied by what some people call liquid gold: chimichurri sauce. Let the garlicky herb sauce coat your steak as you watch it sizzle or opt for the cut and dip method, either way, Skirt steak is definitely a shining star at Madera. Here at Madera we always strive to bring the best ingredients to your table. Always prime cuts, and always seasoned with love, the steaks on this list include but are not limited to: Porter House, Filet Mignon, Rib Eye, T-Bone, among other delicious choices. Look for our specials and enjoy an amazing steak dish cooked to your specifications. One of Cuba’s most recognized dishes gets a subtle update. We kept the classic depth of flavors and added a fried yucca basket, and sweet plantain puree to cradle the beautiful flavors of this traditional dish. One of our most popular dishes. Lechon Asado brings together the most delicious melt in your mouth flavors straight from Cuba, seasoned with onions, garlic, and mom’s secret recipe, this dish is sure to satisfy! Explore Madera’s fresh salads, served with our exotic ingredients and delicious dressings. Add grilled chicken, shrimp, salmon, or steak strips and make your salad the star of your meal.